The Promenade bench by Umbra is a practical and stylish 2 in 1 piece of furniture that visually enhances every hallway. It is the perfect place to sit when taking off or putting on shoes in the hallway since it also doubles as a shoe shelf. The shoes are simply tucked away on the second shelf which has enough space for up to four pairs. The Promenade bench was designed by Wesley Chau and consists of a harmonious combination of different materials and colours. 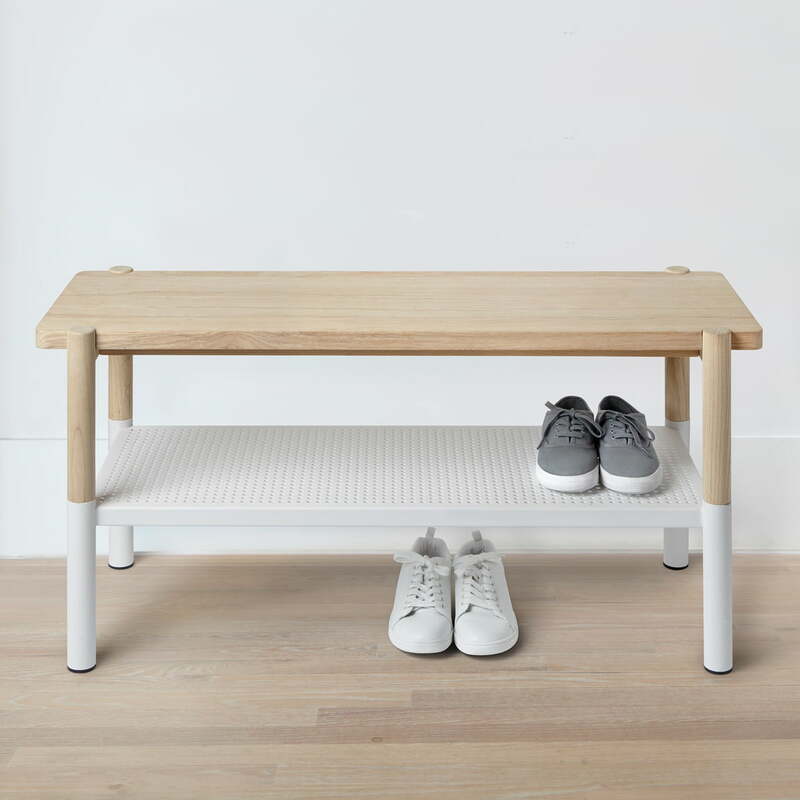 While the seat and part of the legs are made of light ash wood, the shoe shelf as well as the lower part of the legs consist of white lacquered steel. The result is a modern piece of furniture that easily fits into any environment. Together with the matching Promenade coat stand, an effective ensemble for the entrance area can be created in no time. 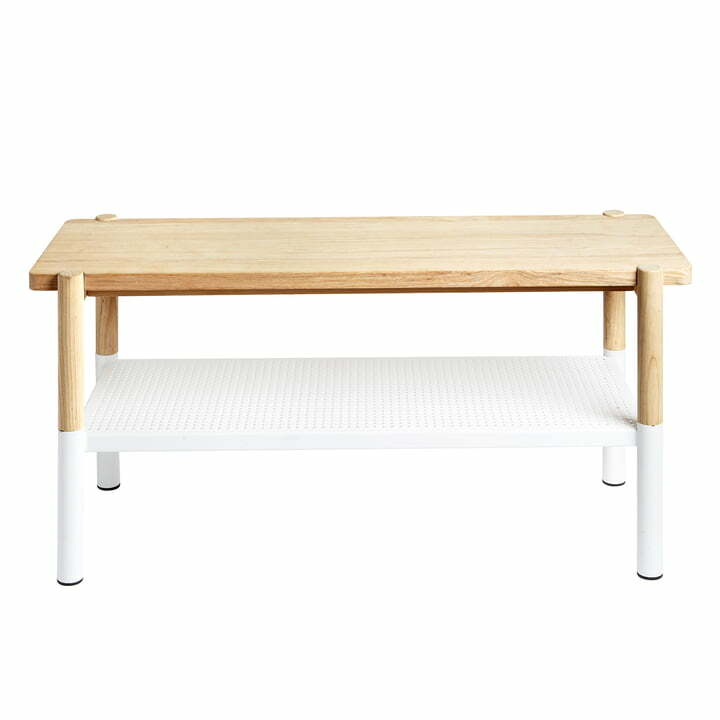 When placed in the children’s bedroom, the Promenade bench can also serve to store toy boxes. Isolated product image of the Umbra Promenade bench. The Promenade bench by Umbra is a practical and stylish 2 in 1 piece of furniture that visually enhances every hallway. Lifestyle product image of the Umbra Promenade bench. The shelf offers space for 4 pairs of shoes. In addition, more shoes can be placed on the floor under the shelf.